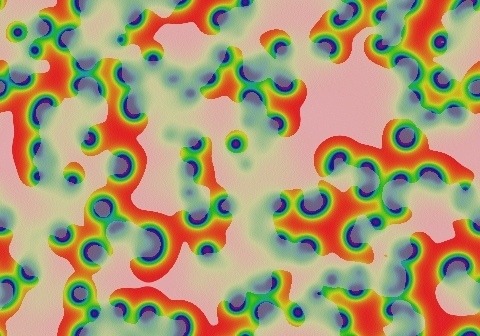 These images and movie demonstrate the behavior of the Gray-Scott reaction-diffusion system with σ=Du/Dv=2 and parameters F=0.0100, k=0.0490. 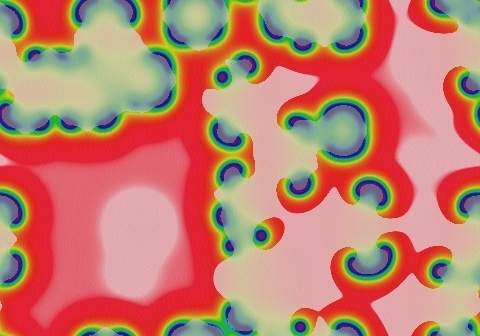 Spots and wave fronts grow and split into "C" shapes (small curved wavefronts). Edges continue to break up into smaller spots, "C" shapes and proto-spirals. 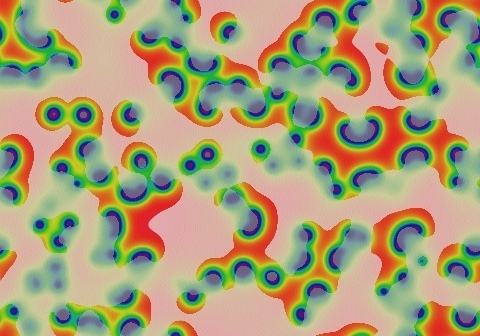 This simulation was performed with the same starting pattern as that to the immediate west; note the initial similarity, and substantial differences after about the first 500 tu.